Sawyer Mill Blue Twin Quilt 68Wx86L presented by Country Vintage Home adds a delightful, relaxed, farmhouse touch to your home featuring vintage stripes, microchecks, and blue chambray coordinated in a simple block layout to create a rustic, vintage feel. 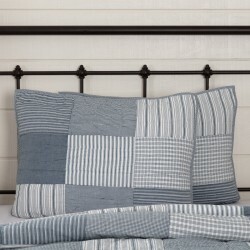 Reverses to a signature ticking stripe in blue and white inspired by a vintage fabric find. 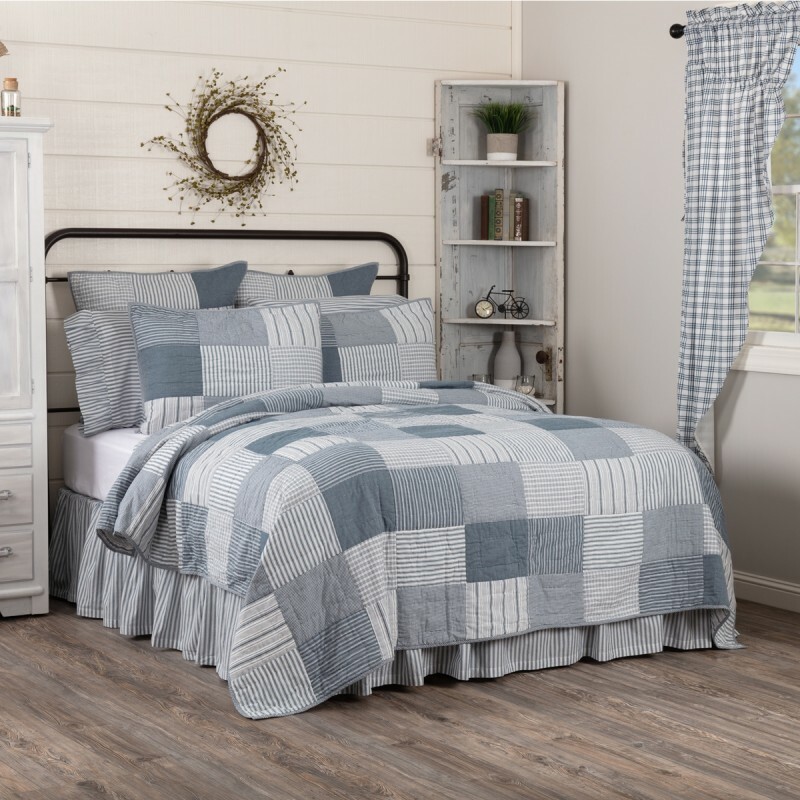 Country Vintage Home invites you to browse through the other items in our Quilted Collections, as well as the many other products in our store. We are sure you are going to find just the right piece or pieces to make your home a Country Vintage home! 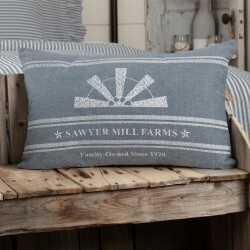 Hand Quilted Sham Brighten up your vintage farmhouse space with the Sawyer Mill Blue St..
Farmhouse Pillow The Sawyer Mill Windmill Blade Pillow 14x22 presented by Country ..